What’s the big deal about CVS & the Adrenaclick? 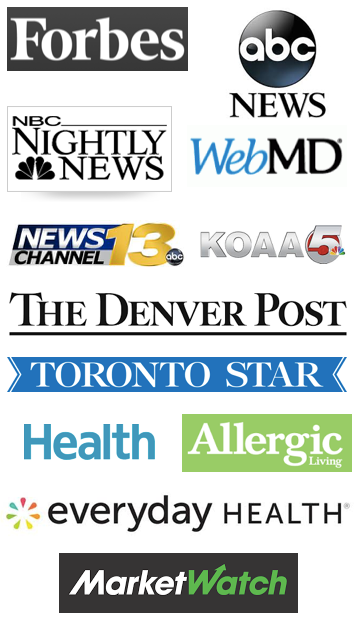 NBC Nightly News ran a story on January 12, 2017 entitled, “CVS to Sell Generic Version of EpiPen as Cigna Drops EpiPen” in which I was interviewed. I was the woman at the end of the video clip who isn’t so thrilled about the Adrenaclick being offered for $109.99, and I’d like to tell you why! First off, there’s a confusion that the Adrenaclick is the generic EpiPen. This is not true. In fact, a local CVS pharmacy that I called tried to tell me that the Adrenaclick is the generic EpiPen! If you want your allergist to prescribe an Adrenaclick, you will need to have a prescription specifically written for the medication. And if your allergist is like ours, they may not prescribe it. (More on that later). Next, to obtain the $9.99 price that’s quoted in the video for an Adrenaclick, you may need to pay out of pocket the $109.99 at CVS, submit a rebate form to the company, and wait for the $100 refund. To me, that’s not the same as a $9.99 price at the pharmacy. And remember you have to purchase the device at CVS in order to get this price. As I said in the clip, I’ve been trained on the Adrenaclick. It isn’t near as easy as the EpiPen to use, nor is it as easy to train others, (especially since the package DOES NOT come with a trainer). It was for this reason that our allergist was not willing to prescribe Adrenaclick for our son prior to his study abroad in the fall of 2016. 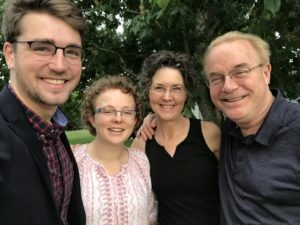 With him being in different countries where different languages are spoken, and eating different foods, she didn’t want to exacerbate the issue with him having a new autoinjector that he hadn’t ever used before nor had never trained anyone else how to use. Many K-12 schools and school nurses are not trained on this device yet. If you plan on purchasing this autoinjector, make sure that everyone who could potentially need to administer it has ample training and feels comfortable using it. What may seem obvious to you or me, as an allergy parent, isn’t so obvious to a school administrator or teacher as far as the difference in this device and the EpiPen. The Adrenaclick training video states that the device should be held for 10 seconds, instead of the current 3 seconds for an EpiPen. And, if you use the Adrenaclick, the needle remains protruding. I always disliked this about the EpiPen prior to its most recent redesign. I very much like that now the used EpiPen has the needle protected to ensure that no injury occurs after injection. 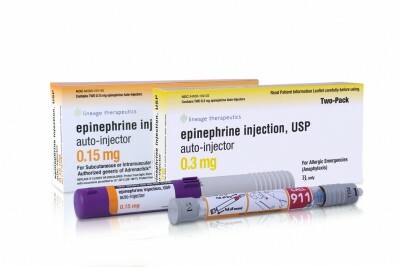 I am excited for competition in the marketplace, and I’d love nothing more than to have an epinephrine autoinjector cost just next to nothing! I’m really excited about the reintroduction of the Auvi-Q, which should occur within the next few months. What’s really great about it is that it talks the user through the steps to administering it! The Adrenaclick is just too similar to the EpiPen to cause enough confusion for the administration of the device to be compromised. It’s not a good alternative for our family.